These days, security of any space has become essential. 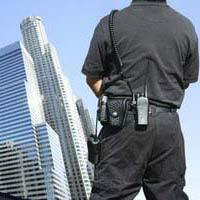 In order to get reliable and well-trained security staff, you can directly contact us. At Global Placement & Career Guidance Center Nashik, we are engaged in offering dependable security services to the clients across Nashik (Maharashtra, India). Owing to our years of experience in this domain, we have been able to gather a wide database of various security job aspirants such as gunman, body guards, and bouncers. Therefore, we are rendering gunman security services, body guard services, bouncer services, event security management services, and security training. Our services are applicable for residential properties, commercial properties, industrial properties, corporate offices, townships, factories, and hotels.